. . .and especially in the coastal areas, you can find interesting and varied wildlife. The late Spring, Summer and Autumn times are particularly rich in things to see for the wildlife enthusiast in the Cottage Retreats area of North Pembrokeshire between Fishguard and St David’s. Whether a birdwatcher, sea mammal or butterfly enthusiast, or interested in one of the many other areas of nature, you will definitely not be disappointed. The Welsh specialities and residents: Chough, Peregrine and Red Kite are all quite easily seen all year round in this area. For the Spring and Summer breeding season they are joined by Wheatears, various Warblers, Common Redstarts and Pied Flycatchers which can be found in the Gwaun Valley above Fishguard. Dippers can also be seen along the river Gwaun. 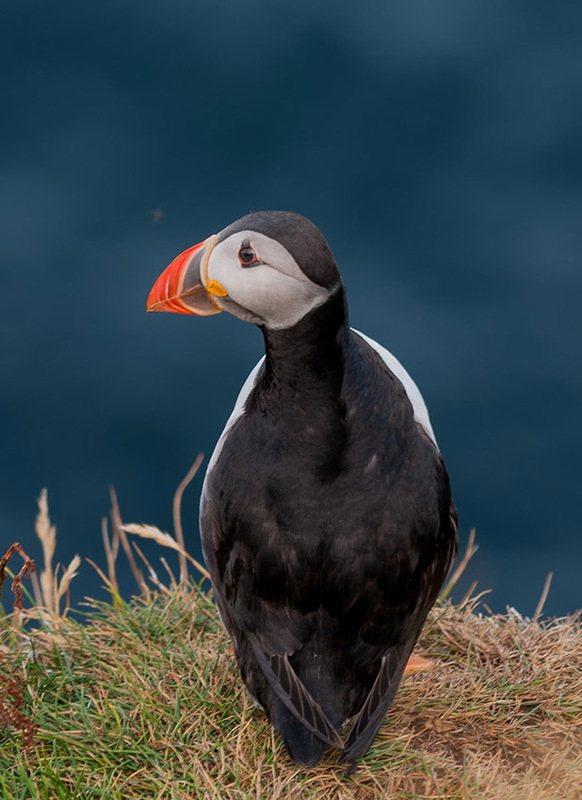 Alternatively, take a boat trip from Martin’s Haven or St Justinian’s either around or onto the Island of Skomer where thousands of seabirds can be seen including everybody’s favourite the Puffin. Thousands of pairs breed on the island, and the wardens have it organised so that fantastic views can be had of this charismatic bird without any disturbance to them. A mention of the islands can not pass without reference to the most numerous bird on them: the Manx Shearwater. This bird is not to be encountered on land during the daytime. One of the best places to see them is on a fine early evening at Strumble Head from mid June until early August where. After feeding out at sea during the day they come back past the headland in their thousands to return to the islands. The furthest island from the mainland, Grassholm, has upwards of thirty thousand pairs of breeding gannets. 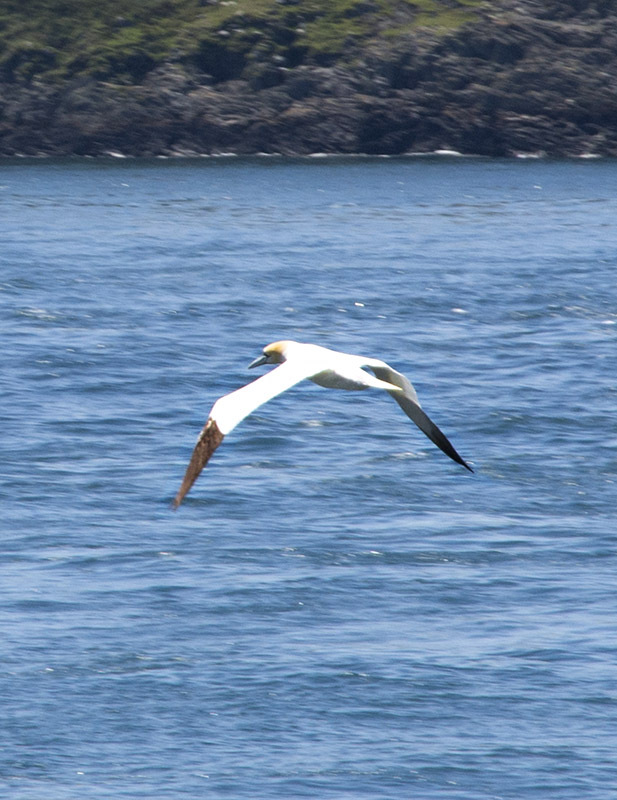 During the Summer and Autumn these gannets can be seen diving headlong to catch fish from virtually anywhere off the coast. These truly magnificent wildlife spectacles, we think rival anything worldwide. Anyone wanting more information on birds in the area will find it worthwhile visiting pembsbirds.blogspot.com for latest sightings. The website also contains a comprehensive list of other sites to visit. Strumble Head leads nicely to the subject of sea mammals namely seals, whales, dolphins and porpoises. Atlantic Grey seals are numerous in the area and can be seen almost anywhere along the coastline. The coastpath between Fishguard and Strumble Head is particularly productive. The best time is without doubt Autumn when the females have given birth to their pups. The numerous secluded coves visible from the path have any number of seal pups on them. Carregwasted Point, just west of Fishguard, overlooks a few of the small beaches that will have pups on them. Viewing is far enough away to not cause any disturbance at all. Patient watching at Strumble Head with binoculars will also give views of the resident porpoises living in the area. Depending on tides and weather conditions, good sightings can be had as the numbers increase during the summer months. Whales and dolphins are less common, but patient watching can be rewarded with sightings of Common, Bottlenose and Risso’s dolphins. Many species of whale have been seen, but are extremely rare. Alternatively visit the Seatrust at Oceanlab, Goodwick, who organise studies of cetaceans throughout the year. 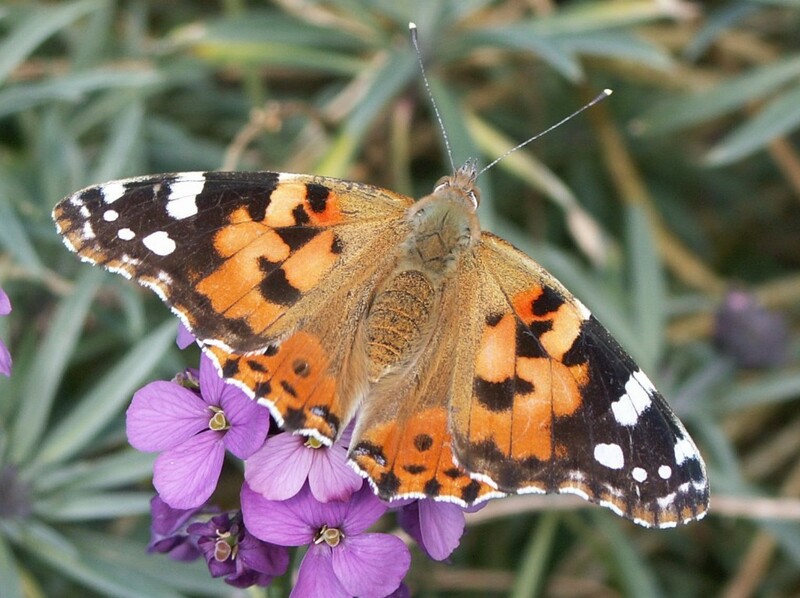 Those interested in the beautiful and varied butterflies to be seen in Pembrokeshire will not be disappointed either. Although, as with most migrant species, numbers can vary from year to year, there are usually good numbers of butterflies to be seen. These include the more common species such as Speckled Wood, Grayling, Comma, Small Tortoiseshell, Red Admiral and the Painted Lady. If you are lucky, in some coastal parts of the Fishguard area, the more unusual ones like green Hairstreak, Dark Green Fritillary and Clouded Yellow can be found. We know you’ll have a memorable visit to Pembrokeshire and above all, if you’re looking for ideas or advice, please contact us. 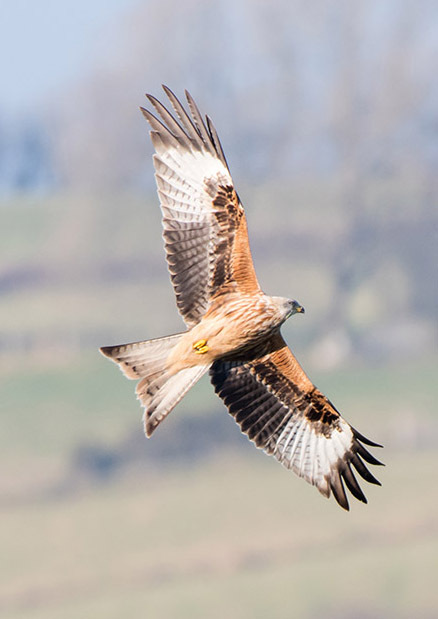 For an experienced wildlife guide to show you the area you might want to contact Dave Astins at www.westcoastbirdwatching.co.uk.